Robert George Geddes, 73, husband of Helen “Puddy” Sloan Geddes, died peacefully at Baptist Health on Friday, April 12. Born in St. Helens, England, he was the son of the late Robert and Noreen Crompton Geddes. Survivors include a brother, John (Leigh Ann); brother-in-law, Butch (Kathy) Sloan; several nieces and nephews and his beloved dog, Mattie Jo. He was preceded in death by a brother, David Geddes. 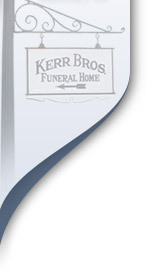 Funeral services will be held at 12:30 pm on Wed. April 17, 2019 at Kerr Brothers – Harrodsburg Rd. Burial will follow in Blue Grass Memorial Gardens. Visitation will be from 11:30 am until the service time on Wed. at the funeral home. In lieu of flowers, memorials are suggested to the Lexington Humane Society, 1600 Old Frankfort Pike, Lexington, KY 40504.